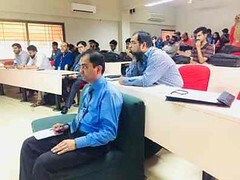 To establish the research culture among the students and faculty members, PAF-KIET sorted out a two-day global gathering, 2ndInternational Conference on Computing & Information Sciences (ICCIS) on 26th and 27thMarch, 2018 at PAF-KIET Main Campus. 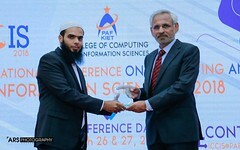 The Conference is organized by the College of Computing and Information Sciences (CoCIS), PAF-KIET. 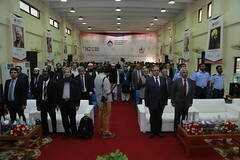 Numerous Universities & Industries persons of the National/International repute took part in the conference. 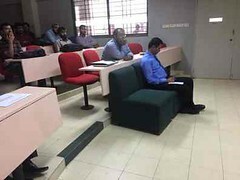 These universities are Universiti Kebangsaan – Malaysia, Universiti Teknologi PETRONAS – Malaysia. 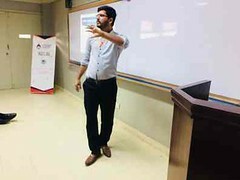 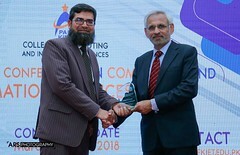 COMSATS University – Islamabad, SEECS (NUST) – Islamabad, University of Central Punjab – Lahore, (UIIT), PMAS-Arid Agriculture University – Rawalpindi, IBA – Karachi, CBM – Karachi, UIT- Karachi, Bahria University – Karachi, University of Karachi, Hamdard University – Karachi, Data Science Department, Cubix Labs Pvt Ltd – Karachi, Sleeknote ApS – Denmark. 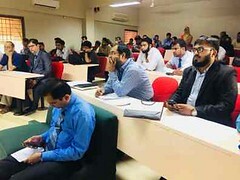 In the Conference, 24 research papers were presented by the participants in four different technical sessions which was chaired by foreigner Scholars. 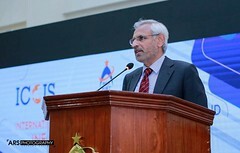 Director CoCIS Dr. Muhammad Khalid Khan in his opening address said “College of Computing & Information Sciences is creating a marked difference as our students are prepared to create jobs rather than finding jobs” President PAF-KIET Air Vice-Marshal Tubrez Asif (Retd.) 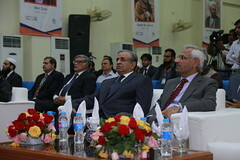 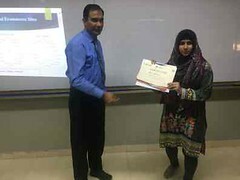 said in the welcome address “Research assumes an important part in both scholarly community and industry, which is the reason such exercises help support a sound research environment” whereas Dean PAF-KIET Dr. Muzaffar Mahmood appreciated the organizers by saying “Such conferences inspire students towards research and give them the clarity in this area”. 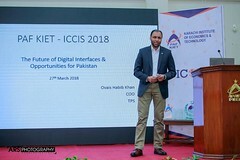 The Chief Guest of 2nd ICCIS 2018 opening Ceremony was Mr. Syed Nasir Hussain Shah (Minister of Information and Transport) said that “Research is extremely valuable for improving innovation.” He gave colossal remarks to the scientists for coming to Pakistan to present their work. 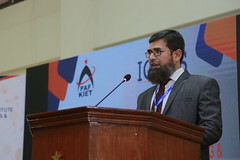 The Chief Guest of the Conference closing ceremony was Mr. Owais Habib Khan (COO, TPS Pakistan) covered the latest technological trends and motivated students by showing various career paths. 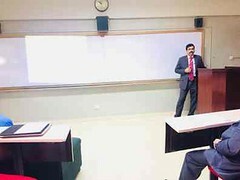 He additionally gave the insights on what do the businesses anticipate from the scholarly world. 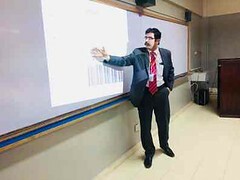 International and National Keynote Speakers at the gathering were Dr. Mohamed Amin Embi, He is currently working as Professor, in the Faculty of Education at Universiti Kebangsaan Malaysia. 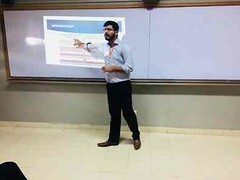 He is the Director at Centre of Teaching and Learning Technologies, UKM and the President of the Mobile Learning Association of Malaysia. 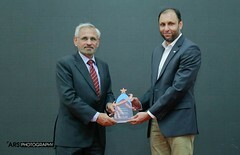 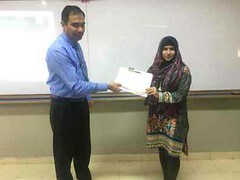 Dr. Amin delivered a plenary talk on “Redesigning e-Learning for Education 4.0”. 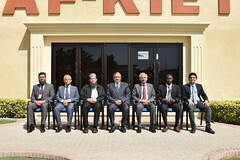 The second Keynote Speaker was Dr. Ibrahima Faye from Universiti Teknologi PETRONAS, Malaysia. 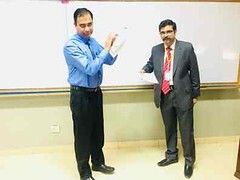 He is working as Deputy Director at Centre for Intelligent Signal and Imaging Research (CISIR), UTP. 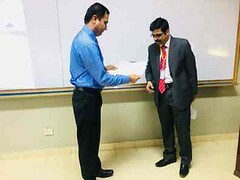 He delivered a plenary talk on “Pattern Recognition in Intelligent Systems”. 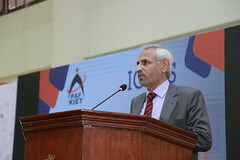 The third keynote speaker from abroad was Dr. Tahir Riaz. 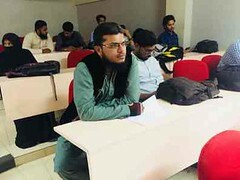 He is working as “Data Architect” at Sleeknote ApS, Denmark. 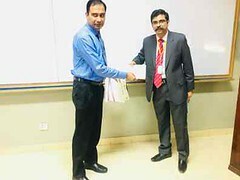 Prior to this he was Associate Professor at Aalborg University, Denmark. 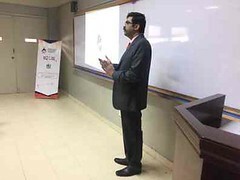 He delivered plenary talk on “Big Data Analytics – Knowing the Knowns and Unknowns”. 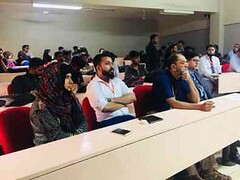 The national keynote speakers were Dr. Syed Irfan Hyder from CBM, Dr. Bhawany Shankar Chowdhry from Mehran University and Dr. Hasina Khatoon from Fast University. 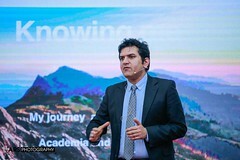 Dr. Irfan delivered a plenary talk on “AI vs Data Sciences: Parallel with Chomsky’s Cognitive Psychology vs Skinner’s Behavioral Psychology”, Dr. Bhawany’s talk tile was “Cooperative Learning and Partnership Building: Empowering our ICT Graduates and Faculty to Compete in the New World Economy” and Dr. Hasina put light on the topic “Challenges faced by Future Computing Technologies Architecture and Operating System Perspective”. 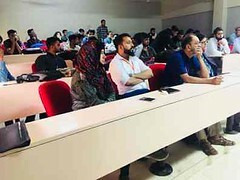 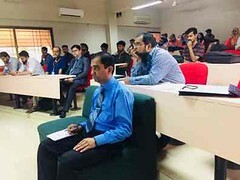 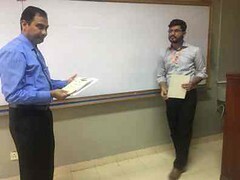 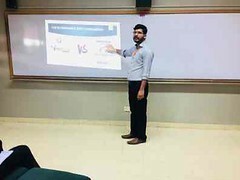 The event also marked the start of a new chapter in the history of College of Computing & Information Sciences as a multi disciplinary journal was also launched at the event having title “KIET Journal of Computing & Information Sciences”. 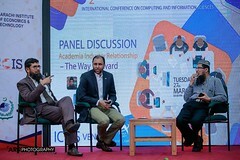 In the conference, there was a hot and sizzling panel discussion on the topic “Industry Academia Relationship – The Way Forward”. 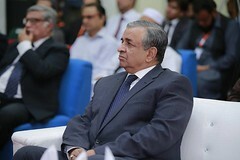 Mr. Ovais Habib Khan, Dr. Mohamed Amin Embi & Dr. Muhammad Khalid Khan took part in the discussion which was moderated by Mr. Ayub Latif. 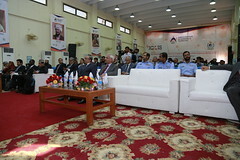 The Event was closed by President PAF-KIET AVM Tubraiz Asif (Retd). 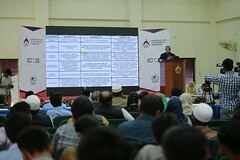 He thanked all the Guest, Keynote Speakers, Participant and he appreciates the efforts of organizing committee and Technical committee for the successful conference.